The joint probe by the two states was disclosed in a letter from Universal Music Group to the Antitrust Bureau of the office of the New York attorney general. In the letter written on its behalf by law firm Hunton & Williams, UMG said it understands that the joint investigation is concerned particularly about whether the music industry is working together "to suppress the availability to consumers of free, advertising-supported, on-demand music streaming or similar services, such as those offered by Spotify and YouTube." Apple unveiled Monday a subscription streaming music service that is priced at US$10 a month, with a family service also available for up to six family members for $15 per month. 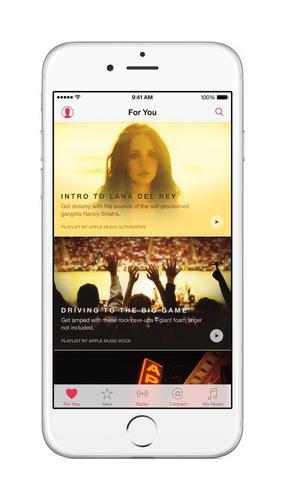 Unlike services from rivals like Spotify, Apple Music will not offer music that is offered free with advertisements. The company instead will offer a three-month free trial period and promises that artists may make various kinds of content available on its promotional Connect section. Prior to the launch of the service, there were reports that Apple was trying to get the music labels not to allow free music services. The attorneys general wanted to know if Apple pressured the music labels, or whether the labels conspired with Apple and one another to withdraw their backing for the advertisement-supported free services, reported The New York Times. "This letter is part of an ongoing investigation of the music streaming business, an industry in which competition has recently led to new and different ways for consumers to listen to music," said Matt Mittenthal, spokesman for New York Attorney General Eric Schneiderman, in an emailed statement. "To preserve these benefits, it's important to ensure that the market continues to develop free from collusion and other anti-competitive practices," he added. In its letter, UMG said it did not have any agreements with Apple to obstruct the availability of third-party free or ad-supported music streaming services, or that "limit, restrict, or prevent UMG" from licensing its recorded music to any third-party music streaming service on any terms of its choice. It said it did not also have any such agreements with Sony Music or Warner Music. UMG added that it offers limited exclusive content to some partners such as certain music streaming services and ISPs, but this was driven by its legitimate business considerations rather than by an agreement to restrain competition. Connecticut Attorney General George Jepsen told Bloomberg in an emailed statement that he was working with New York to investigate concerns about potential anticompetitive conduct in the music streaming industry. "At this point, we are satisfied that Universal does not have in place --- or in process --- anticompetitive agreements to withhold music titles from no-charge streaming services," he added. UMG could not be immediately reached for comment.